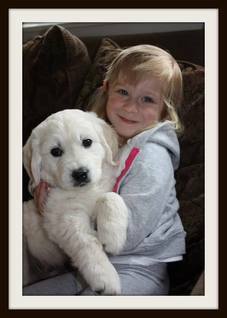 Oregon Mist Goldens is a family operated hobby breeder totally committed to improving the quality of the English Cream Golden Retriever breed. We put a lot of effort into providing superior pups and stand behind the health and well-being of every puppy that leaves our care. All of our AKC registered sires and dames come from imported English Champion bloodlines and are health tested to insure that our puppies are the healthiest, calmest and have the most exquisite English blocky build possible! Because of this, our Oregon Mist puppies are the finest you will find for sale in the Northwest! Click Here to see our our Puppies Available page ~ we have Puppies Available TODAY! 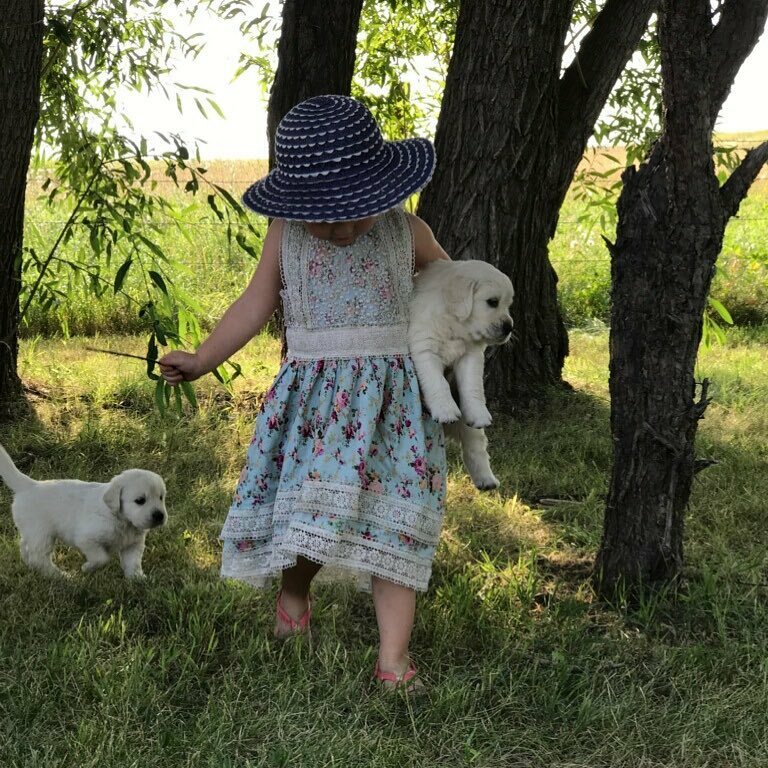 At Oregon Mist Goldens, we want you to have the best English Cream Golden Retriever Puppy for your money spent and stand strong behind our health guarantee on every puppy we sell. We spare no expense when it concerns our dogs and puppies. All are given only top quality veterinary care, nutrition, and love. At Oregon Mist Goldens we strive to be responsible and honest breeders and guarantee that you with a most amazing experience with us ~ this starts the day we first meet you, to the day your beloved Oregon Mist pup is born, and all through the entire lifetime of your your sweet Oregon Mist family member! Click Here to learn more About Us. ​We are located in two locations: the beautiful Willamette Valley (Oregon Mist Goldens) as well as the heart of the Rocky Mountains (Montana Mist Goldens), our dogs live the ultimate life of luxury! We do NOT kennel our dogs and they live normal lives at home with loving families (either OUR loving family or one of our exceptional Pick of the Litter Families!) Our puppies are raised in our home and since socialization is a crucial development to puppies, we start from day one including these prized pups into our lives until they they become a part of yours! Welcome to our website and enjoy a look into our English Golden Retriever Haven! . Watch this video to see just how our puppies are loved and raised! 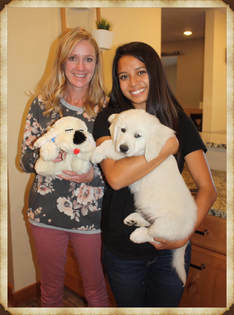 Oregon Mist Goldens is looking for the PERFECT Puppy Nanny for our amazing program! Click Here to see if this may be a good fit for YOU! Want to Stay Current with Oregon Mist Updates?